Most of the world’s financial transactions are speculations, said Valery Fadeyev, Secretary of the Civic Chamber of the Russian Federation, on February 5 at the Chamber’s “Social Inequality and How to Deal With It” international conference, a Rossa Primavera news agency correspondent reports. “This is money that does not produce anything. It does not do anything for the people,” he explained. Increasingly often, experts say that the world’s financial system produces almost nothing. Most of the world’s capital is seeking to multiply itself. As Giulietto Chiesa, an Italian journalist and public activist, stated on November 6, 2017, at the Sofia Club open meeting: “Capitalism used to produce goods. Today, goods, in fact, are barely one-twentieth of the “goods” produced. 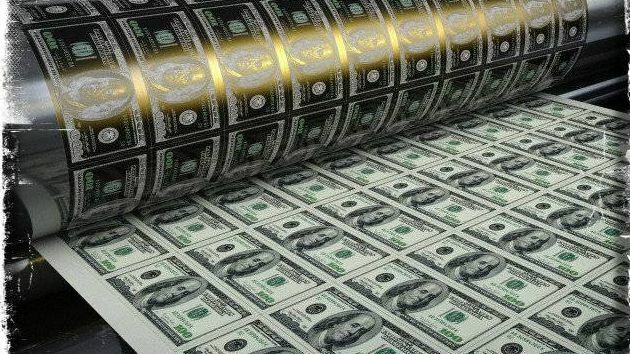 Money is being produced – artificial money, infinite money”. This entry was posted in News from Russia and tagged Informational-Psychological War, Russia. Bookmark the permalink.